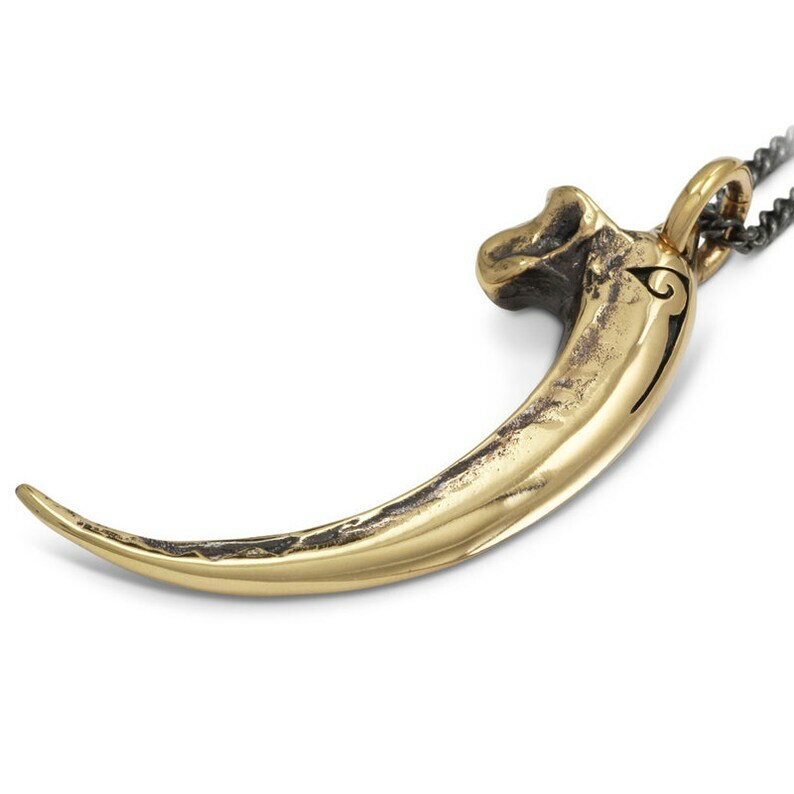 My Golden Eagle talon is cast from a life-size, museum quality replica of the real thing - man, this talon is big, and is the largest Eagle talon you'll find in my shop. Each Golden Eagle claw is equipped with four of these talons, and it's not hard to marvel at the sheer strength, power and majesty this bird commands. Every tiny detail of the original talon is captured here, from the contours of the knuckle to the menacing tip. 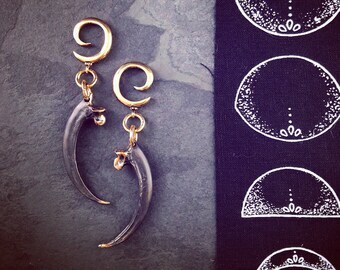 My wife designed the spiral motif which is carved into all our talons and claws, and it really sets this piece apart - I love the synchronicity of her design with the talon. 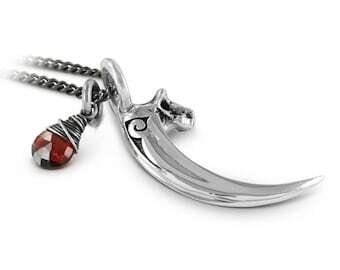 The piece is completely reversible, and can be worn so the spiral can be kept as your secret. 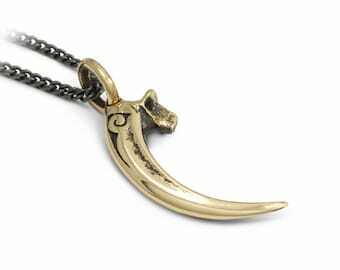 The Golden Eagle talon measures 2" from the top to the tip and, being cast from solid bronze, has a fantastic weight and feel to it.